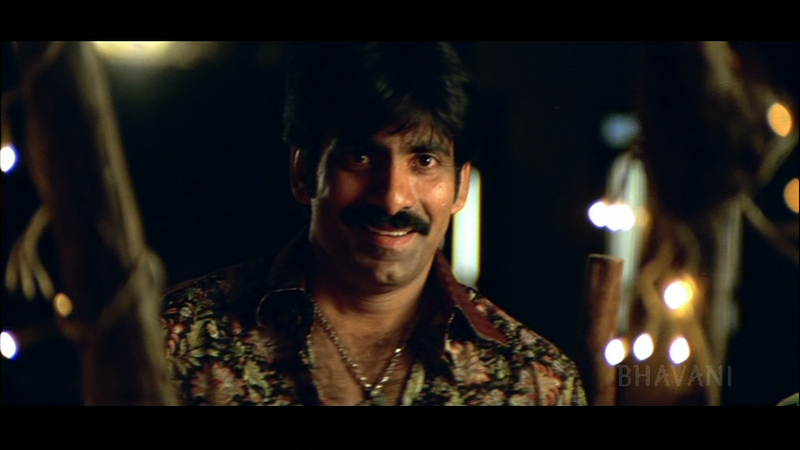 Vikramarkudu centres on ASP Vikram Singh Rathore (Ravi Teja) and his attempts to bring rural crimelord Bavuji and his evil brother Titla (Ajay) to justice. Needing to go into hiding, Vikram schemes to have his young daughter left with unknowing duplicate Athili Sathibabu (also Ravi Teja), a conman conned into caring for the child. The now familiar theme of justice being outside of the law is at the fore as even the police cannot rely on the legal system. There is suspense as the bad guys get closer and the two lookalikes cross paths in a series of action packed episodes. SS Rajamouli knows how to get a story up on screen and make it look amazing but he doesn’t have the best material to work with here. 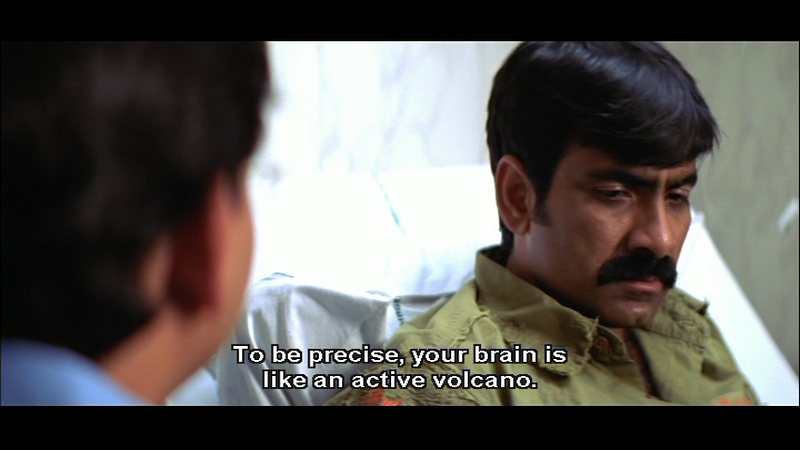 Vikramarkudu is a bit less satisfying than it should have been. The major problem for me is the first section which sets up a very unconvincing love at first sight romance between Sathibabu and Neeru (Anushka Shetty). She acts giggly and flirty and he is sleazy and grabby. I struggle to believe Neeru would be smitten by Sathibabu. I can believe she might fall for him over time, but on sight? It wouldn’t have taken much to come up with a better story for her, but apparently no one could be bothered. Apart from the unfortunate giggling and the attempt to be a minx, Neeru was quite likeable but then she disappears until the end of the film. While it wasn’t much of an acting challenge at first (except maybe for having to gaze lustfully at Ravi Teja) Anushka did at least look like she was having fun in the songs. She got a bit more to work with later in the film, but the heroine was not pivotal to the story. Ravi Teja is a good actor and created two very distinct characters while playing up their similarities so that while I was never confused, I could believe that the other characters might be. He gave the policeman a serious demeanour that was almost out of place in the mass madness. The action scenes look great and Ravi Teja is up to the challenge of the scuffling, bruising fights. 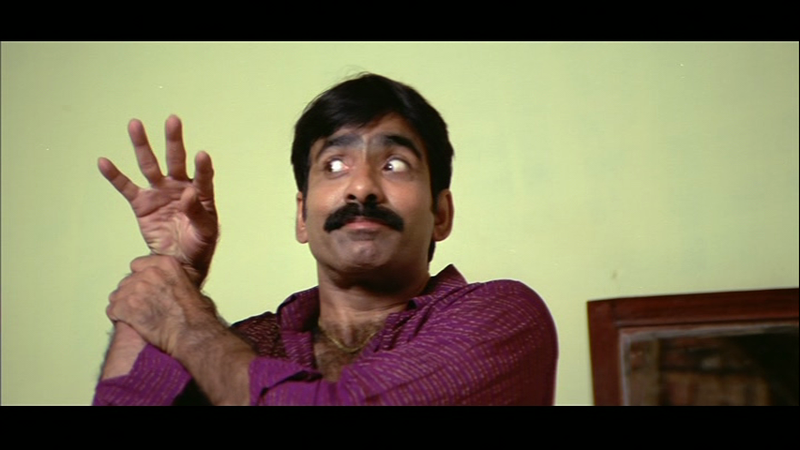 But most of the story is about Sathibabu whose notion of romance is slapstick sleaze. 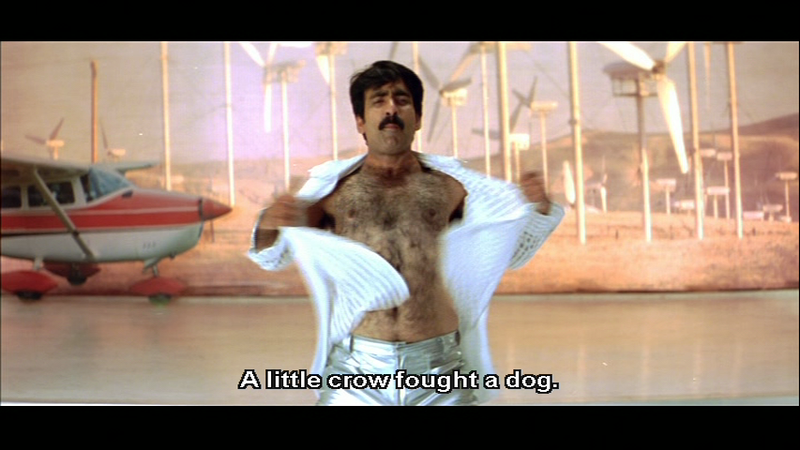 I have a fear of Anil Kapoor’s back hair which dates from seeing Janbaaz. Oh, the rolling in the hay scene was so disturbing even without the straw woven into Anil’s furry pelt. I had post traumatic flashbacks when I saw Ravi get his shirt off with no warning. 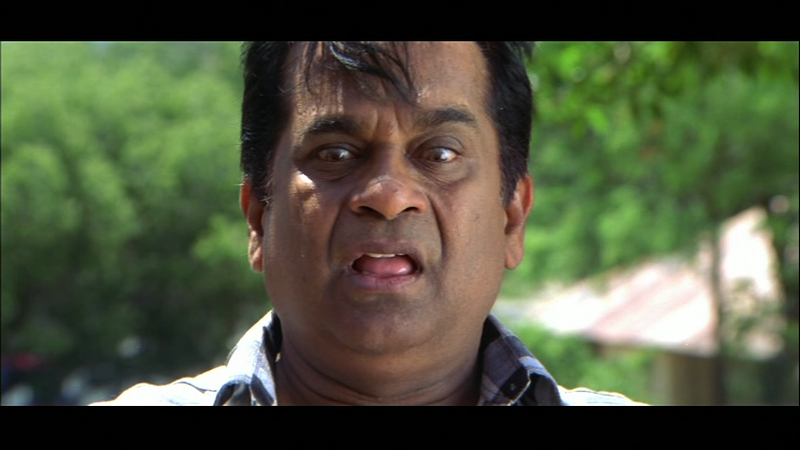 Brahmanandam and Sathibabu live in a house they had furnished from various stolen items. It was neatly quirky, and might have been better suited to college aged guys but the set designers had fun. Ravi Teja has an upbeat energy which is very effective in the dances and he looks like he enjoys the dreaded comedy scenes. Their conman shtick was mildly amusing and I liked some of their schemes, but the heavy handed and repetitive dialogue especially by Brahmi became annoying. And I just don’t think sleazy puns and groping equates to humour. There was more to Sathibabu than I initially expected. He was coerced into caring for a little girl (Baby Neha) who was convinced he was her father. I liked the developing affection between Sathibabu and the little girl. It didn’t seem that he was won over because she was cutesy but because he started to appreciate she was a little human being and had her own fears and likes that he could relate to. And from that initial moment of empathy came a protective affection that was endearing. It also meant that he was more invested in helping Vikram and sorting out the villains when the time came. The bad guys play for cartoon effect but there was an edge of darker violence to some of these scenes. Bavuji is a stock baddie who leers and shouts and does a pretty good mad eye. Ajay as Titla is more striking and not just because of his height and aura of evil. 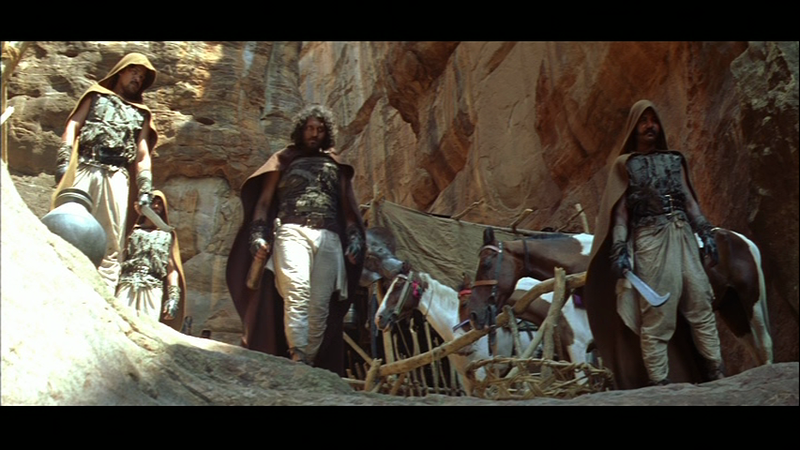 He leads a gang who were possibly involved in the trial run for Magadheera costumes, and is armed with what looks like a kind of blunderbuss and a cross bow. Ajay has the right amount of menace and silliness and he plays it to the hilt. Munna (Amit Kumar), Bavuji’s son, is flamboyantly bad but opts for a comedic approach which masks his calculating nastiness. 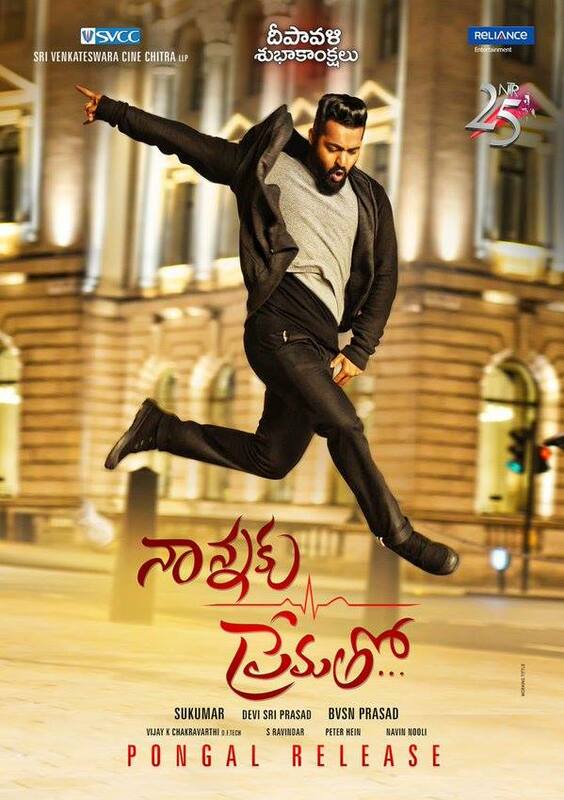 The MM Keeravani songs are fun and they provided a battlefield between the choreographers and the costume team. There is a pleasing commitment to metallic pants and that makes me happy. 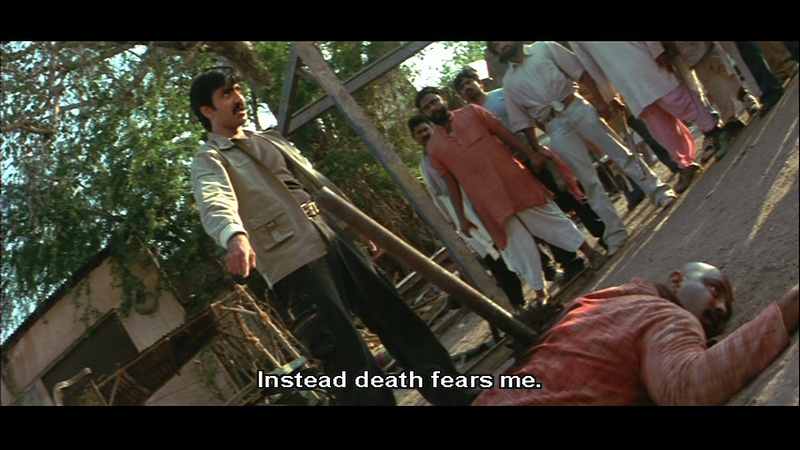 The costumes are a highlight and Ravi Teja’s trousers often make a statement. Anushka seemed to get the more experimental designer but she didn’t seem too fazed. I suppose that is a benefit of knowing you could wear a hessian sack and still look stunning. There is some excellent Only In Films Medicine I must mention. I bet you didn’t know that a temporary cure for an aneurysm is running cold water over your head. I struggled with Vikramarkudu at first as I couldn’t see the story going anywhere and I didn’t care less about the lead pair. Once the revenge story started to dominate, the pace picked up and I found the film much more satisfying. There was some tension and characters started to become more fleshed out once the common enemy was in play. While the content and situations are unrealistic, the impact of the dramatic and action oriented scenes was surprisingly strong. 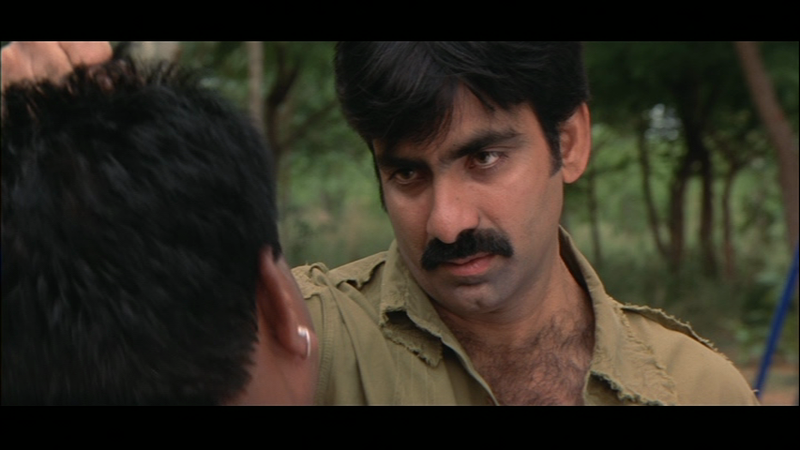 By the end, as Ravi Teja made those baddies sorry they had ever been born, I cheered and laughed and occasionally winced. As for the resolution, well I question some of the logic but you know what they say; all’s well that ends well. 3 stars!